Fiber glass material is making its way into the window industry. 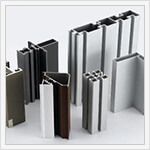 Some of the most common are vinyl, wood, aluminum, thermally broken aluminum, aluminum clad and wood windows. All materials have their own applications and uses to meet building codes and customers’ wants and needs. Polyvinyl chloride, or PVC, is a moderate to highly energy efficient material. Vinyl also has the benefits of strength and durability, noise reduction, color choices, no condensation, no painting and above all – low maintenance. It’s easily bent into shapes as well as competitively priced. There are limited color selections on interior choices. Special color coatings are available on the exterior surface of the window frames. Offers the warmth and beauty of natural wood grains. Wood can be stained to meet a customer’s choice of colors and stains. Wood also gives the most beautiful appearances in any window due in part to its natural beauty. Wood produces higher R-values, is unaffected by temperature extremes, and is less prone to condensation; however, they do require considerable maintenance in the form of periodic painting. 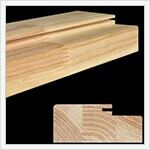 If wood frames are not properly protected from moisture, they can warp, crack, and stick. This material is the combination of two materials into one for the sake of protecting the wood. Aluminum Clad material also maintains the warmth of the wood material allowing for maintenance free exterior. 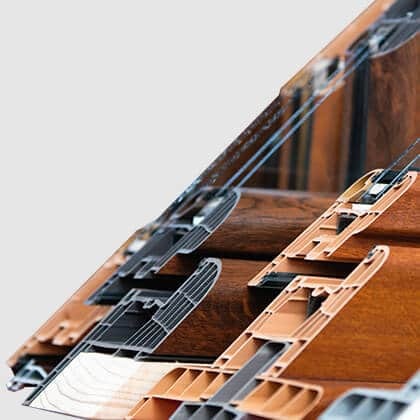 It allows many color options – while protecting the wood from the elements to ensure a longer lasting window unit. The painted aluminum surface will be on the exterior, allowing for the beauty of the wood on the interior. This makes for the perfect combination of materials. One con to this combination is the costs involved with these two materials. Aluminum is a metal type material that offers superior strength and durability – with many color options. 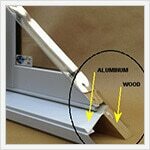 Aluminum allows larger windows to be made due to the extra structural strength. 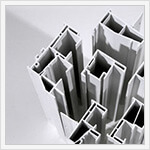 This is why this material is used in commercial window applications. Aluminum will transfer heat, meaning it will get cold when heat retention is needed during the winter; meanwhile, it will transfer cold when you’re trying to maintain cool air during the summer months. This material is basically the same as the aluminum material. Instead, this material has a thermal break between the inside and outside of the extrusion, creating a break in the transfer of energy through the metal. In turn, this creates a thermal break that allows for a warmer surface on the interior face. 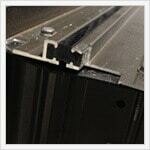 This is a great choice when strength and thermal performance are required. There are many styles, colors and configurations to choose from. You may have a few limitations on your choices, but for the most part most styles are available. 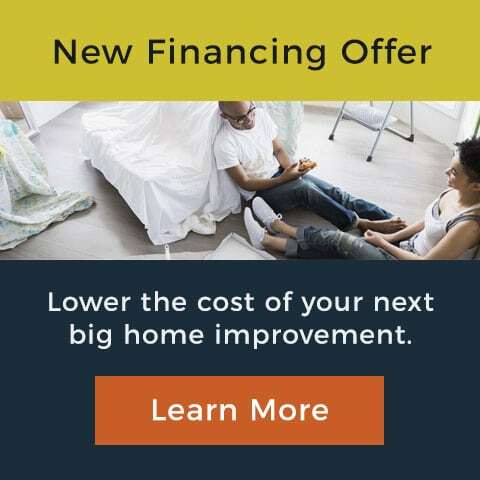 Many homeowners will pick the standard configuration that is installed on the home, but we also offer many other choices to help set your home apart from your neighbors and friends.